ACCEL is one of our new game-changing solutions. 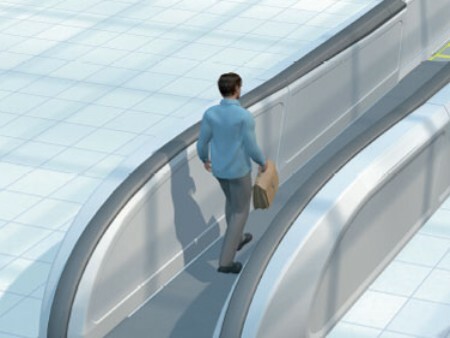 This innovative and user-friendly accelerating passageway transportation system offers an efficient solution to the challenges of urbanization. In metro stations, it alleviates traffic congestion by improving access while attracting up to 30% more passengers. In airport terminals, ACCEL reduces connection times between gates by up to 70%. ACCEL’s band of overlapping pallets allows each pallet to expand to three times its original size. 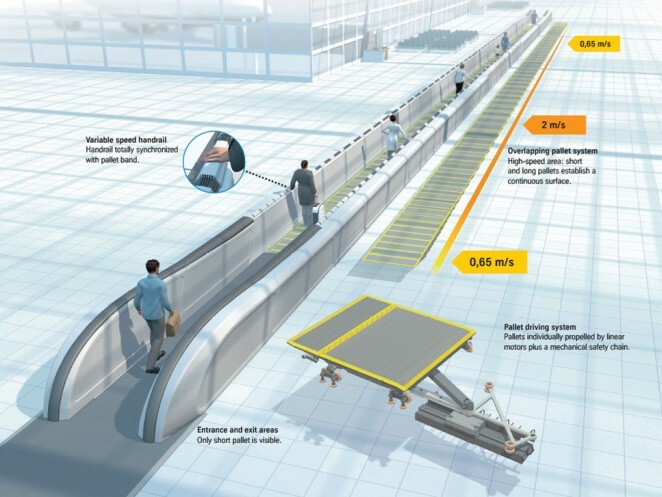 Passengers step onto ACCEL at normal walking speeds and are safely accelerated to up to 12 kilometers per hour. Users only take 140 seconds to cover 270 meters, compared to 415 seconds with previous systems, for an impressive time saving of 70%. 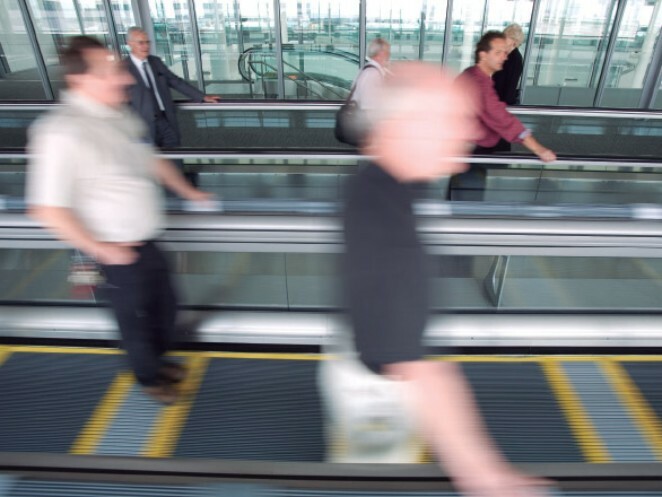 ACCEL moves up to 7,300 passengers per hour per direction in a permanent flow, totally eliminating waiting times. ACCEL is the only transportation system that slows down when passengers step on and off, but accelerates in the middle. Sensors ensure a smooth, safe and above all continuous ride. 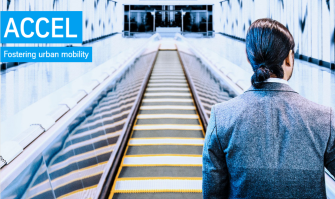 ACCEL efficiently meets global urbanization challenges by alleviating traffic congestion, improving access and attracting up to 30% additional passengers at metro stations. In airport terminals, it reduces connection times between gates by up to 70%. 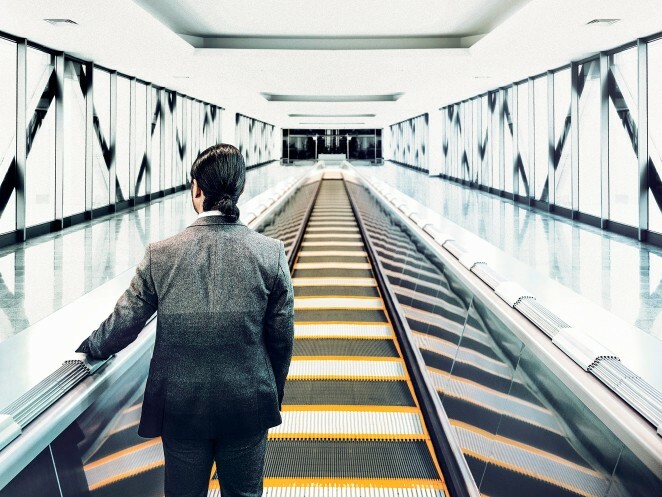 Passengers step onto ACCEL at normal walking speeds of 0.65 m/s (2.35 km/h), accelerate smoothly up to 2 m/s (7.2 km/h), and then decelerate back to normal walking speeds before getting off the system.